New research by WorldFish finds that Timorese people that depend on fishing for their primary livelihood have higher levels of well-being – linked to asset ownership, income and food security – than other natural resource-based livelihoods. Further, fishing as a livelihood is far less vulnerable to external factors, such as severe climatic events, or pests and diseases, than other livelihoods. These findings highlight that the fisheries sector in Timor-Leste can be a crucial path out of poverty and boost well-being, particularly for the rural poor who live near the coast. Timor-Leste is one of the world’s poorest countries and the second most oil-dependent nation in the world. Although the economy has grown rapidly in recent years, high unemployment and poverty persist, increasing the reliance upon natural resource livelihoods. Food security is fragile and malnutrition is widespread, especially as a result of micronutrient deficiency. Yet coastal fisheries – which are often an important source of food, income and nutrition in many developing countries – are underdeveloped in Timor-Leste. Very few of Timor-Leste’s 1.2 million population identify themselves as fishers, and it has been said of the Timorese that they “turn their backs on the sea”. 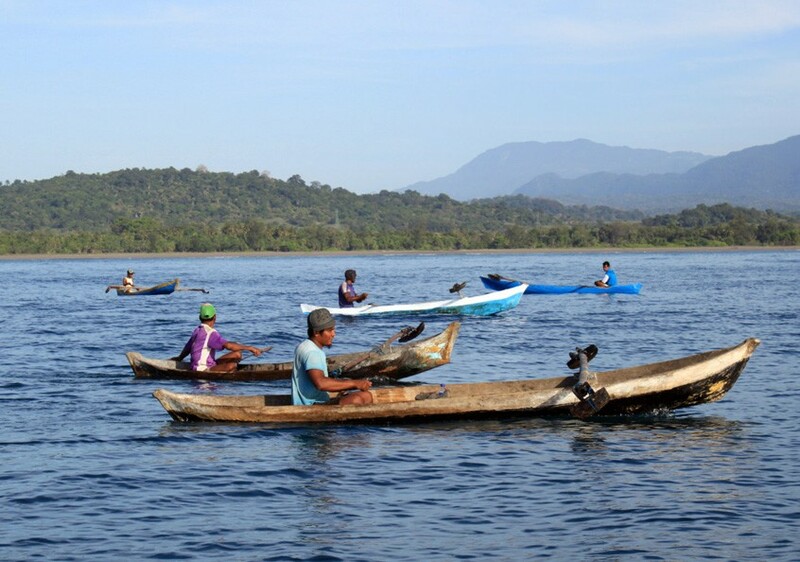 Fishing is labor intensive, utilizing rudimentary gears from paddle boats that limits access to reef fisheries, which are showing signs of decline. In contrast, the pelagic stocks just out of reach remain unexploited, accessible only to those with a motor boat and advanced gears. WorldFish is working to characterize these fisheries through nearshore stock assessment, and develop technology to diversify fisheries towards more productive and resilient stocks of oceanic fish and reduce pressure on reef systems. But this research is only part of the solution, as fishers in remote communities also face issues of traveling long distances to markets, bad roads and a lack of a cold storage that limit frequent and fresh supply. Boosting catches of less-exploited species, combined with a strengthening of fisheries value chains in Timor-Leste, can therefore help realize the potential of fish in enhancing nutrition and food security across Timor-Leste. Often, small-scale fishing in developing countries is seen as a livelihood of last resort that only the landless poor engage in. But that’s not the case in Timor-Leste, where WorldFish research shows that fishing has a positive influence on asset wealth and a positive effect on income and food security, both well-being indicators, relative to other natural-based livelihoods. 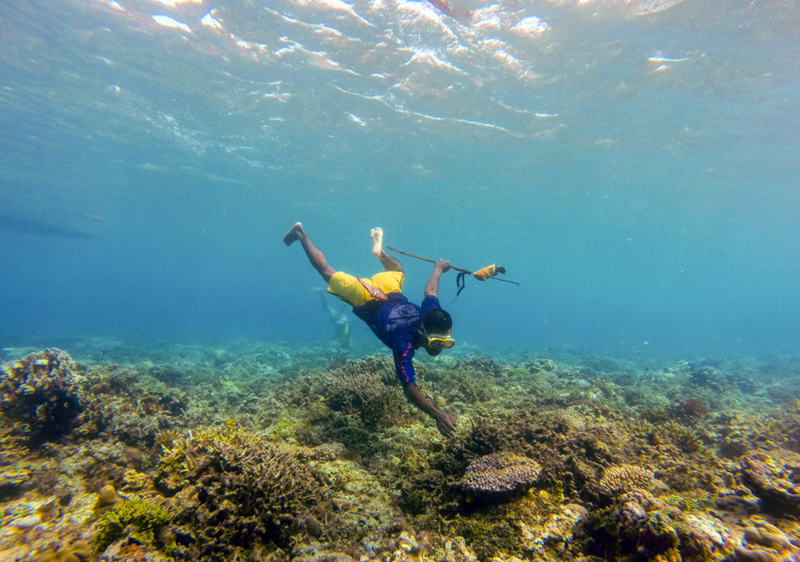 A spearfisher fishing on the reef near Adara, Timor-Leste. Fish also has a role in combatting malnutrition in the country, where over 50 percent of children under five are stunted, caused by insufficient nutrient intake in the first two years of life. Fish is a vital source of micronutrients and fatty acids crucial for brain and motor development in children. It remains unclear if limited fish in the national diet is as a result of low availability, or cultural history, but initial research shows it is likely to be a combination of the two. Since 2010, and recognizing the huge potential of fish, WorldFish has been working in Timor-Leste with the Ministry of Agriculture and Fisheries and partners to harness the power of fisheries and aquaculture to improve livelihoods. This has been achieved by improving access and availability of fish through technology combined with improved management of capture fisheries, development of freshwater aquaculture and improving the distribution of benefits through value chains. These efforts are part of the CGIAR Research Program on Fish Agri-Food Systems and support the Timor-Leste Government’s strategic development plan (2011–2030), which calls for an increase in fisheries productivity to enable diversified diets and boost employment in the sector. In Timor-Leste, fishing is often part of a diverse rural livelihood system, a crucial mechanism by which rural communities spread risk of external shocks or disturbances over time. For example, people may engage in fishing as one of a handful of other livelihoods that might also include farming crops, raising livestock and casual employment. This diversity enables households to better adapt to environmental and economic shocks such as pests and diseases, flooding, drought, or death of a household member. But this diversity can carry an additional labor burden, negating other benefits. WorldFish research from the Pacific highlights that these diverse activities to generate income and food may have an extra labor burden, as a result of retaining options that are not directly enhancing income. It is clear, therefore, that even if governance and livelihood interventions are focused on fisheries, interactions with other livelihoods must be considered. 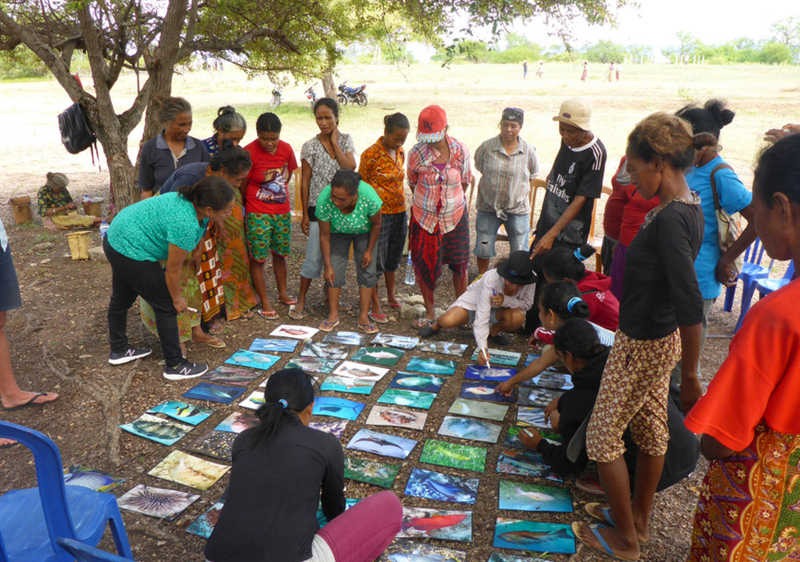 It is with this crucial understanding that WorldFish carries out its research into improved and scalable fisheries methods and technology, and aims to improve well-being for many poor and rural households across Timor-Leste. 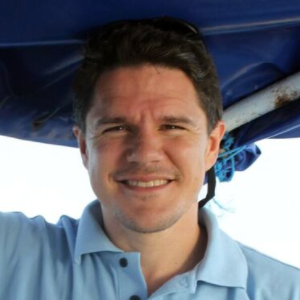 Alex Tilley is a British fisheries biologist, working with the WorldFish Resilient Small-Scale Fisheries program based in Dili, Timor-Leste. His research focuses on mechanisms and methods to improve small-scale fisheries productivity and management, to harness the potential of fish to enhance food security, sustainable livelihoods, and nutrition. Prior to joining WorldFish, Alex held a two-year postdoc with the Smithsonian Institution working on developing digital and analytical tools for small-scale, data-limited fisheries in Latin America and Myanmar. He holds a PhD in Marine Biology from Bangor University, Wales.